The Gulf state’s wealth fund is buying posh London hotel Grosvenor House. 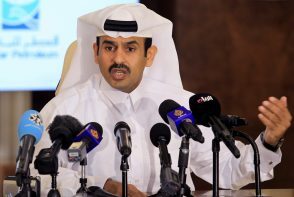 Despite its neighbours’ blockade, Qatar has surplus cash to invest in trophy assets that offer good returns. Acquiring glitzy baubles suggests Qatar’s new fund managers will prioritise the former. As Mohammed bin Salman’s blockade of Qatar nears the year and a half mark, it would be easy for the tiny-but-rich Gulf state to gloat over the kingdom’s woes. But chaos across the border is a big worry. A quiet high road is paying off for Qatar. Even MbS seems to agree. Europe’s busiest airport has tried to placate critics of a third runway by incentivising flights to smaller UK cities. But large airlines will struggle to make these stack up. Unless budget players can do so, the charge that Heathrow only works for London will be hard to refute. The Gulf state will take back 14 pct of the Russian state oil group after a $9 bln sale to China’s CEFC collapsed. That helps Qatar-backed Glencore keep a supply agreement with Rosneft. Firmer links with Moscow also give Saudi Arabia another reason to ease up on Doha. The private equity fund has bought 3 pct of troubled Deutsche Bank, months after taking a 5 pct stake in sickly rival Commerzbank. The twin investments might raise hopes of a merger between the two lenders. But other shareholders – including the German state – have a bigger say. A decision to sell a $1.5 bln stake in Bharti Airtel may have been forced. The four-year investment nevertheless brings a decent return from a savaged industry. A price war could ease after recent consolidation, but India’s top operator faces more challenges from a bold upstart. The Middle Eastern group is buying 9.6 pct of the troubled Hong Kong outfit for $661 mln. Building small stakes in rival airlines rarely works well. But should top shareholder Swire seek to sell, it now has a second party to play off against Air China, Cathay’s other big backer. Oleg Deripaska’s En+, which controls aluminium outfit Rusal, aims to raise $1.5 bln in an LSE and Moscow listing. It touts a green model, but public investors will have little say. The cornerstone backer, a partner of the PRC group that just bought into Rosneft, may do better. A deal to buy Typhoon fighter jets will secure thousands of UK manufacturing jobs. But building stronger defence ties with the sheikhdom is a risk when its squabble with Saudi Arabia is unresolved. That could backfire if the kingdom reacts by vetoing a London listing for Aramco. The kingdom’s pact with OPEC to damp output is crumbling and has failed to drain inventories, or boost prices, fast enough. One suggestion is to reduce its own exports by as much as a seventh to shock markets into submission. If that fails, though, Saudi would look impotent. Despite winning a share of the UK’s 55 bln pound high-speed rail line, the distressed construction company’s situation is precarious. Its pressing task is to find investors to put in perhaps 500 mln pounds, before customers start cutting loose. Keeping its doors open while neighbours kept theirs closed has been a winning strategy for the Middle Eastern trading enclave. The blockade of Qatar will leave a mark on Dubai’s vital real estate sector and trade flows – and could leave its investor-friendly reputation dented.